You are here : Home \\ Blog || Short Sale Articles \\ Your Livermore Short Sale Realtor Closes Another Short Sale! 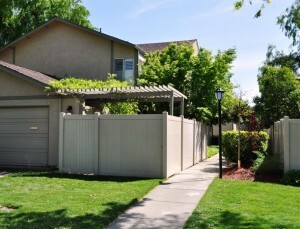 Your Livermore Short Sale Realtor at East Bay Short Sale Group has closed another short sale listing in Livermore. This property is located at 753 Pine Street. 2-story townhome; real nice property: A 3 Bedroom, 1½ bath, 2-car garage, located in the Town Square community. There’s about 50 units in this particular community of Livermore. Very centrally located and convenient access to major thoroughfares in Livermore. Your Livermore short sale realtor listed this short sale on the market for $291,000, and got this in a contract within just a couple of days. The seller had a few different liens on the property. There was a Bank of America First Loan on there, there was a Chase Second Loan on there, and she also had a State tax lien on there. In order to facilitate the short sale and get it approved, we had to have approval from all 3 different lean holders on this, including the first, the second and the franchise tax board. We were able to do this in a matter of about 90 days or so. Your Livermore short sale realtor was able to get the seller approved through the government HAFA program to be able get her to get some money back at closing. We got her about $11,000 back at closing, including all of her leans released. Certainly very good news for the seller, and the buyer was able to get a good price on this property as well. If you have any questions on how the short sale process works for Livermore, or anywhere else, please contact us. We can be reached at www.EastBayShortSaleGroup.com, or call us directly at 925-567-6720. We we happy to talk to you about what your options are for doing a short sale in Livermore or elsewhere. We service the entire East Bay area, including Alameda and Contra Costa counties. Visit our Youtube page for more info on the services we provide and properties for sale! Navigation: Weblog / Blog article: Your Livermore Short Sale Realtor Closes Another Short Sale!